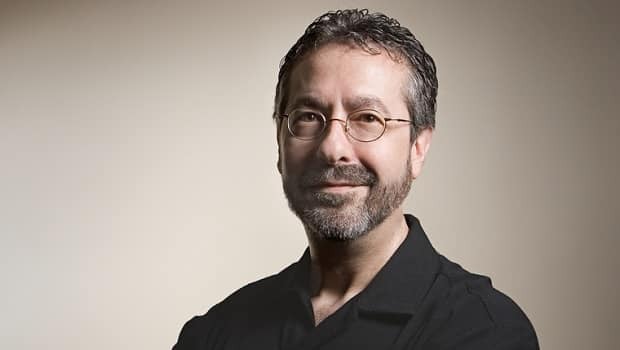 It has been announced today that Warren Spector, Creative Director of Disney Interactive Studios’ Junction Point, is to be honoured by appearing on his own unique virtual trading card. Such a collaborative effort has been spearheaded by acclaimed cartoonist Len Peralta, and the collection features a grand total of 52 “influential geeks” across various forms of the entertainment industry, incorporating movies, television, computing, music and game design. 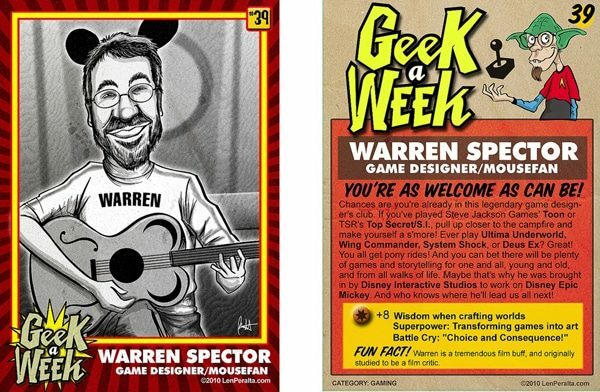 Spector’s “Geek-A-Week” card was issued today as a precursor to the anticipated release of Wii exclusive Disney Epic Mickey across North America tomorrow. You can check out the card below or on Peralta’s official Geek-a-Week web site here, where you can also tune in to a podcast interview with Warren Spector as well.